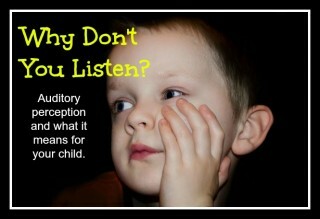 Home » Parenting & Child Development » Why don’t you listen? Do you think your child doesn’t listen? Recently a plea for help was made on social media by a mother who had been told her 2 and a half year old didn’t listen. Her preschool teachers were saying she was naughty and needed discipline. They had called the mother in a few times to discuss the poor behaviour and poor listening of this little girl. Really? An under 3 is labelled naughty? How could a professional, working with such small children be labelling a child as naughty ? How could they be saying she was a poor listener at such a young age? Yes, toddlers can be demanding and tiring and yes, it seems like they are not listening, BUT at that age it is NOT intentional! Surely when it’s your job to be with and educate small children, you know a thing or two about how children of this age behave and respond. And also know a little about the development? I really felt for this poor mother, who had been made to feel badly and to question her parenting ability by the school. Firstly, between the ages of 0 and 6, a child’s auditory perception is developing. This refers to all aspects of hearing and listening. Children are visual learners until around age 6 and that is why some children in school have trouble reading as reading requires both auditory and visual perception to be fully developed. Visual perception develops far quicker than auditory perception and most preschool children are visual learners as a result. Asks for repetitions of directions or says “what?”, “huh?”, often which is frustrating to adults. Watches everyone else to see what they are doing before following directions relying on visual cues to help him interpret the instruction. May tend to gesticulate a lot. Using hand gestures to reinforce the message he is struggling to get across. Usually prefers visual tasks and will seem distracted and bored during “auditory heavy” tasks like story listening or listening to a teacher talk. Many of these traits can be misconstrued as bad behaviour, not listening, poor listening, naughtiness etc…And sure, If your child is old enough (age 6+) and still doing these things, it may be an auditory perception problem or it may well be that they are just behaving badly or not listening. Thirdly, this DOES not mean that there is a problem, especially if your child is under 6 years old…after 6 years, then have it checked out. Finally, I just want to reassure you. If your child has no medical reason for not hearing properly, but is still preschool age, listening is a skill that needs to develop. He is not trying to drive you nuts, it may be that his auditory perception ability is just not mature enough to cope with whatever is required of him. How you can help if your child has any “symptoms” as listed above. Make eye contact and come to your child’s level when giving verbal instructions. Give one instruction at a time and praise the successes after each. Make the child repeat the instruction back to you before he goes off to do it. Read to your child a lot, hearing spoken language is the best way to learn to speak properly. And hearing a lot of language, even when auditory perception is still immature, will help it develop. Play games or do activities which involve sounds and letters. Children should not be expected to behave in a way that they are not yet mature enough to cope with. Discipline should be for obvious poor behaviour and you as a parent should always give the benefit of the doubt to children. In my experience, they are not inherently naughty. Sometimes it is simply a case of being not quite ready!